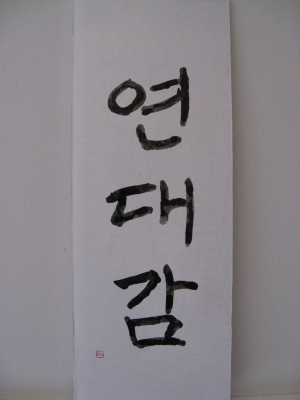 This word is Korean,which is pronounced yan dae gam. It means fellowship or togetherness. This is Ms. Ji Hyun's favorite word.